It’s 06 September 1986, and a busload of members of the Michigan Railroad Club set out from Dearborn, Michigan on one of the club’s “mystery” trips, today for a visit and ride on the Southern Michigan Railroad. 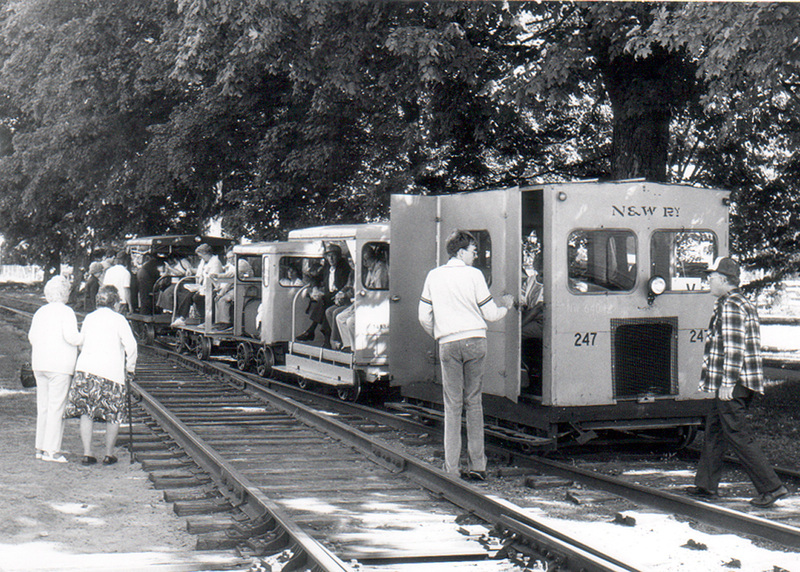 The SMR prepared a number of track cars to haul the 50 or so passengers down the line from Clinton to Tecumseh, where they would re-join their bus tour. In the photo, the blog’s author and driver Ron Weyher “button up” the train and prepare for departure from Clinton. It looks like the ladies on the left perhaps decided to forego the train ride! 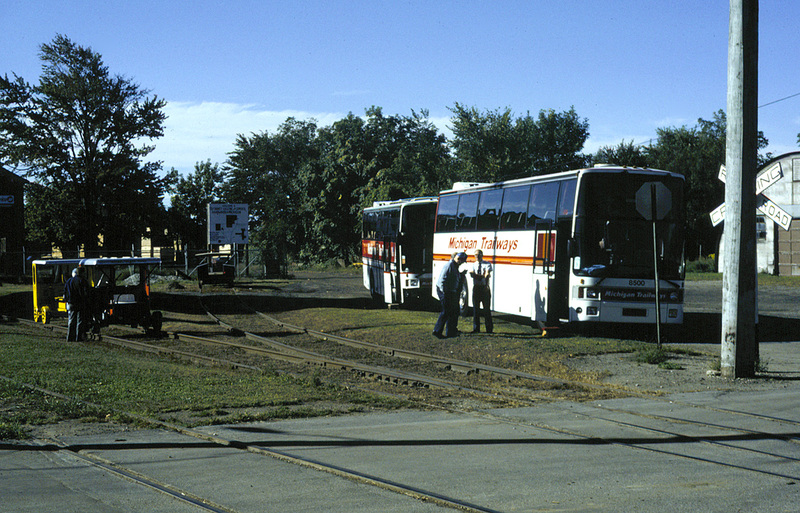 The Michigan Railroad Club tour busses wait in the Clinton parking area while members explore the yard. 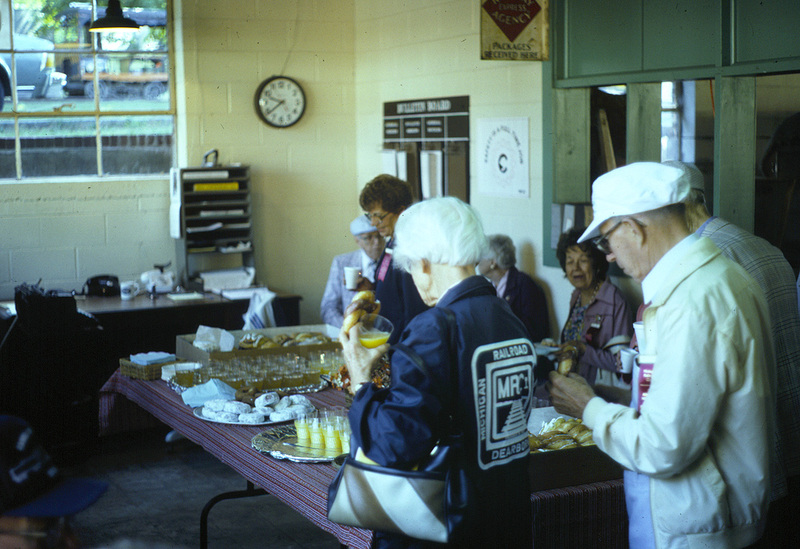 The MRC members were served refreshments in the Clinton “operator’s office” before setting out on their ride.